After a robust rally, metals prices are starting to pull back. Copper, aluminum, zinc, lead and nickel retreated on Tuesday as investors focused on the rebounding dollar and evidence of ample supply in the physical market. Palladium and other precious metals also retreated, with spot silver falling as much as 3.2 percent. Metals have been on a tear since May as enthusiasm over growth in China and demand from electric vehicles brought in new investors. The rally sent copper above $7,000 a metric ton for the first time in three years and palladium to a record. Copper dropped 2.2 percent to $7,054.50 at 3:21 p.m. on the London Metal Exchange Tuesday. A close at that price would mark the biggest drop since Dec. 5. Stockpiles gains this year and LME spot prices trading below futures suggest that buyers aren’t rushing to secure copper as factories ramp up. The metal advanced 7.2 in December, capping the biggest annual gain in eight years, but has started to retreat this month. Prices are down 2.6 percent so far in 2018. Some analysts see the rally resuming. 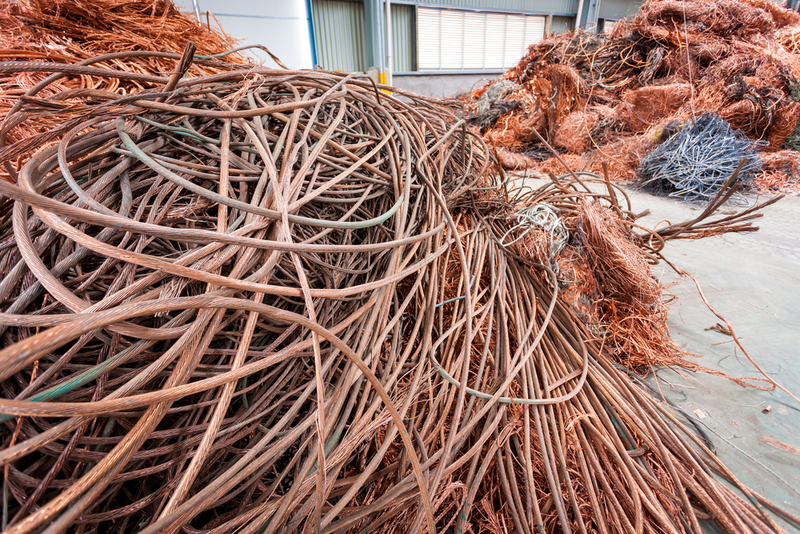 HSBC Holdings Plc has raised its copper price forecast, responding to a recent slump in the dollar and rebounding factory-output growth that’s lending support across commodity markets in recent weeks. Aluminum slid 1.7 percent to $2,190 a ton as investors in China focused on bloated inventories and rising output in Xinjiang. Nickel dropped 3.7 percent to $12,380 a ton, leading base metals lower. Tin advanced in London. Palladium futures declined 1.1 percent $1,093.70 an ounce on the New York Mercantile Exchange, after extending a rally to a record $1,133 earlier Tuesday.